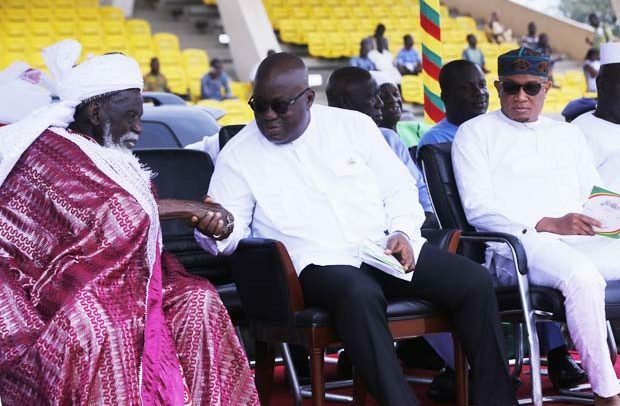 ‘Our goal is to build a society of equal opportunities for all, and we shall not relent until we achieve it’ President Akufo-Addo told Muslims at the Independence Square yesterday. Such remarks coming from the lips of a man who conceptualized the idea of a free SHS and operationalising it shows just what he intends to achieve with the rather expensive yet extremely valuable socio-economic project. It is the intention of all good leaders to narrow the gap between the ‘haves’ and ‘have nots’ and ensure therefore that there is equality of opportunities for all and not a few. The prevalence of unequal opportunities has led to wars; some of them ongoing in some societies around the globe, avoidable strife we must prevent by all means. What better response can anybody present for the anomaly of inequality than to have the resources of the state put at the disposal of all citizens in a country which has never witnessed any such conscious efforts from the political leadership. The President must continue to drum home about what equal opportunities stand for, even as we too who believe in the ideal continue to amplify its positive contents until it sinks down in the people. The President’s approach to narrowing the schism between the rich and the poor neglected in society is one which is time-tested. It is about making education accessible to all. Indeed the colonial authorities applied it in the Northern Territories and the results were great with beneficiaries rubbing shoulders with their southern counterparts naturally. No module can overshadow easy access to education when considering the provision of equal opportunities in any given society. For those who availed themselves of the opportunity and they abound, they served as living testimonies of how education can offer equal opportunities. What knowledge can offer a society or even an individual is invaluable. We must seek knowledge no matter the distance between us and the source of it. Thankfully today, the most deprived segments of the Ghanaian society, the Zongos have a whole ministry and a development fund to reverse their lot. It behooves parents, opinion leaders, imams and chiefs in such communities to join in the campaign to propagate the good news and to therefore become participants not observers. The chain of development programmes the President has fashioned out is as instructive as it is interesting. A free SHS programme has been rolled out followed by a Zongo Ministry and a development fund – all of which are geared towards one objective, education, which would in turn eliminate ignorance and reduce poverty to the barest minimum. Only ignorance would make someone believe it when a rival politician tells him that Nana Akufo Addo has refused to sign his portion of a document when the then President John Mahama had filled his hence their inability to draw from the life-improving facility. These were the kind of lies peddled among the unfortunate rural folks with little or no education. With education, not only would poverty be dealt a fatal blow, knowledge and its bountiful advantages would come to those who drink from its vase. Let them shut up who have undertaken a campaign of tongue-lashing of the free SHS which for us would enhance the chances of ensuring equal opportunities in the country.